And just like that, Game of Thrones’ long reign as the most pirated TV show appears to be over as early data from industry analyst Muso suggests Amazon’s new motoring show is the new number one. According to the firm, the first episode of The Grand Tour was downloaded 7.9 million times with the second and third episodes having been downloaded 6.4 million times and 4.6 million times, respectively (the downward-trending numbers are a shame considering the show has actually gotten much better each week but I digress). An Amazon spokesperson told The Guardian that The Grand Tour has become the biggest show premiere ever on Amazon Prime Video, breaking records around the world. Specific view counts, however, weren’t supplied. Muso Chief Commercial Officer Chris Elkins said the show is off the scale in terms of volume and thus has become the most illegally downloaded program ever. For those out of the loop, The Grand Tour is an Amazon exclusive “motoring show” (equal parts informative and funny) from the former presenters of Top Gear, the popular BBC program once recognized by the Guinness Book of World Records as the most watched factual TV show in the world. A dispute between one of the presenters and a producer resulted in all three presenters – Jeremy Clarkson, Richard Hammond and James May – parting ways with the BBC. 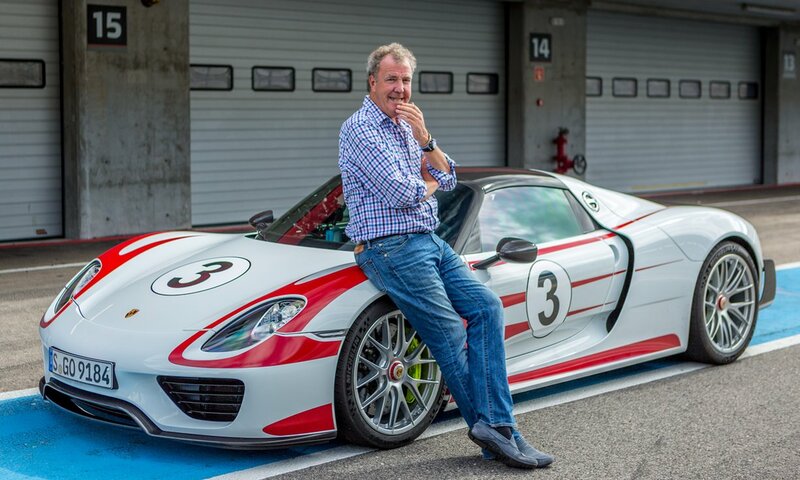 They ultimately signed a deal with Amazon for a minimum of three seasons of a show that eventually became known as The Grand Tour. It’s all but identical to their former gig albeit with a few minor changes. Unsurprisingly, a large portion of the illegal downloads – 13.7 percent – originated from Britain (Top Gear originated in the UK). The fact that it’s currently an Amazon exclusive unfortunately means The Grand Tour simply isn’t available to as large of an audience as the BBC has access to. This is likely driving up piracy as the show was initially only available to viewers in the US, UK, Germany, Austria and Japan. Fortunately, Amazon has plans to bring it to roughly 200 countries this month. It’s unclear if Amazon is bringing its full Prime package to these additional countries or just the series. As it stands today, you must be a Prime subscriber to get legal access to The Grand Tour. With Amazon reportedly shelling out anywhere from $5.5 million to $7 million per episode, creating legal avenues for viewers to watch should be a top priority. After all, as streaming music and video services have successfully demonstrated, consumers are willing to pay for content so long as it’s affordable and easy to use with flexible viewing options. The BBC elected to continue to produce Top Gear, replacing the ousted trio with Chris Evans and Matt LeBlanc (Joey from Friends) for season 23. Viewership reportedly plummeted and shortly after the final episode of the season aired, Evans announced he would not be returning.